The Afternoon Tea and Spa program combines a 50-minute full-body massage and a Balneotherapy circuit with an Afternoon Tea prepared by pastry Chef Alexandre Litou. After the massage and the balneotherapy circuit you will be served an Afternoon Tea of scones served with butter, honey and jams, custard tarts, carrot cake, dark chocolate and passion fruit tart, mini cheese and ham sandwich, with tea, milk, coffee or hot chocolate. Now that the cold days have arrived this is an ideal suggestion for a relaxed afternoon with a breathtaking view over the Atlantic and over the dunes of the Sintra Cascais National Park. 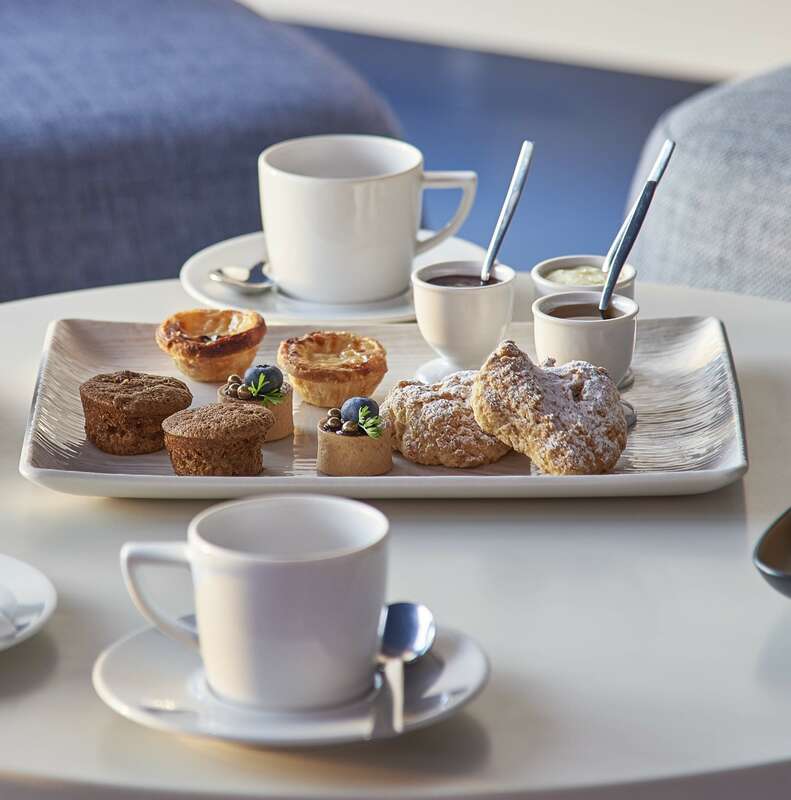 Afternoon Tea: scones served with butter, honey and jams, custard tarts, carrot cake, dark chocolate and passion fruit tart, mini cheese and ham sandwich, with tea, milk, coffee or hot chocolate.